This post takes up where yesterday’s post left off–celebrating this year’s Nerdy Award winners for Young Adult Fiction. Thanks to Teri Lesesne, Jillian Heise, Kevin English, Kathy M. Burnette, Katherine Sokolowski, Paul W. Hankins, Sarah Gross, Don Miller, Cindy Minnich, David Macginnis Gill, Jennifer Fountain, and Karin Perry for contributing reading responses and reviews for our 2014 Nerdy Awards for Young Adult Fiction posts. Sometimes, crazy Christmas Eve plans work out. It is rare indeed for me to get the opportunity to read a book worth recommending to my wife before she has read it, cataloged it, and recommended/sent it to one of her many nerdy pals. 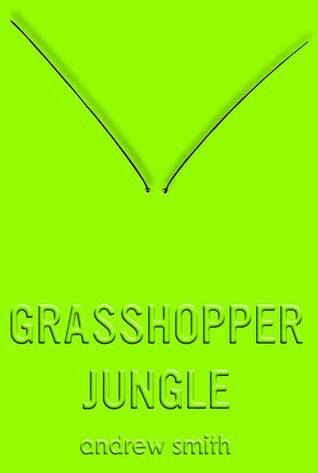 Through luck and circumstance, Grasshopper Jungle by Andrew Smith was one such book. Travelling for the weekend I begged for something new to read and was handed this title as “Something I might enjoy,” it’s introduction should have been grander. I was sucked into Grasshopper Jungle immediately. It wasn’t just the great story. A joyride mix of Sci-Fi, Humor, and Horror in which 16-year-old Austin, his best friend Robbie, and his girlfriend Shann battle for the future of mankind against mutated giant grasshoppers who want nothing more than to eat and mate. It wasn’t just the masterful crafting of that story in a way that saw us jumping through time to meet Austin’s historical relatives, often repeating jokes and themes that have new meanings with each repetition. It was the characters who spoke to me. That’s wrong—they didn’t just speak to me. They whispered to my secret 15-year-old self, they sang to the long lost memories of high school Don. It was as if Andrew Smith had opened a window into my younger self. All of the ridiculous angst and insecurities were there. The fears and questions about burgeoning sexuality. The love for friends you don’t even know if you deserve. I found myself in a novel I wished had existed for me in the 80’s. I find comfort that there are many young people who will see themselves and know they’re not alone. T.H. White’s The Once and Future King, Marion Zimmer Bradley’s The Mists of Avalon, J.R.R. Tolkien’s The Lord of the Rings trilogy, Terry Brooks’ The Sword of Shannara—my young adult reading life was a endless quest through the library. Growing up in a house with too much fighting, too many siblings, and too little of everything else—I just wanted to get away. The fantasy books I read took me to places I wished were real—worlds where loyalty and cleverness defeat power, the good guys always win in the end, and the least of us—assistant pig-keepers, hobbits, or bookish girls can become heroes. Reading about wizards and unicorns didn’t separate me from reality— these books helped me forge who I became. On my best days, I’m a champion for the underdog, a woman who recognized true love when he arrived, a storyteller, a secret keeper. On my worst days, I’m mercurial, a dragon who dreams of turning my transgressors into mice and devouring them. Sometimes, life has too much grey in it. We need stark lines between the white robes and the black ones. We need reminders that honor and love can triumph. We need a little magic. Three of our YA Nerdy Award winners offer readers a touch of magic and a double-dose of empowerment. Put these titles in the hands of teens still waiting for their Hogwarts letters. They don’t need one to become heroes. Maggie Stiefvater sits on my short list of authors whose every book I purchase, consume in days, and evangelize to other readers. I want to live in Maggie’s books. I want to ride wild horses across a Thisby beach, run through Mercy Falls’ forests, and find ancient kings in Cabeswater. Most of all, I like Maggie’s girls—smart, unwillingly brave, fiercely loyal, and a little reckless. This book could not have been more timely. While the nation has been talking about how black lives matter and headline after headline has been following stories about racism and violence, How It Went Down takes a look at what happens when Tariq, a black teenager, is shot by Jack Franklin, a white man, on the sidewalk of his neighborhood on a random afternoon. In a chronological telling of the events and what happens in the days that follow, we hear from eyewitnesses and family, gang members and best friends, politicians and shopkeepers — everyone except for Tariq and Jack who only speak through the retellings of the others. What we realize as we navigate this complicated narrative is that no one has the full story of what happened that day or even a complete understanding of who Tariq is. Every one of the characters – including the press who is covering the story – is struggling to construct a narrative based on the limited information any of them have available. When we as readers get to piece together clues from each narrator and his or her incomplete interpretations and versions of the truth, we get to see the Big Picture – something far too complex to turn into a sound bite. I’m not sure if the intent was for me to look at the news in a far more critical way, but it happened. If these characters are struggling to get it right, what about the press? I can’t help but wonder as I read or watch the news: Who did they talk to? Who did they miss? How did they describe the people involved – why did they describe them that way? How did they fill in the gaps in the narrative with their own views? 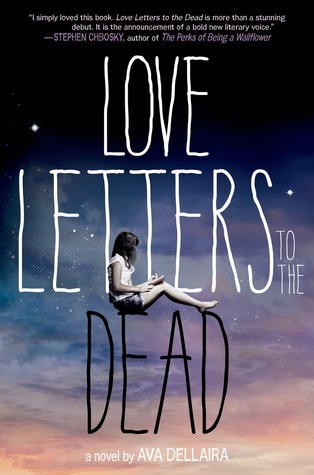 In Love Letters to the Dead, Laurel gets a beginning-of-the-school-year English assignment that I probably would have loved: write a letter to a dead person. She does – to Kurt Cobain, one of her late sister May’s favorite rock stars. But assignments are expected to be turned in – and Laurel just…doesn’t. 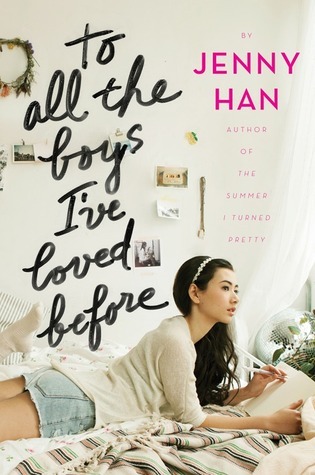 Instead she keeps writing letter after letter to a long list of famous dead people, explaining about her life adjusting to life without May, to her new school, to her new friends, to her first love. She’s angry and confused and her heart spills onto each page as she shares her grief and day-to-day reality – and eventually the truth of what happened to May. In a world where a virulent epidemic has decimated Earth’s population, humankind has become separated into two groups—the Rays, who enjoy the pleasures of working during the day and sleeping at night, and the Smudges, whose diurnal clocks are flipped so that they work at night and sleep in the day. This separation immediately creates a caste system where the Rays are favored and the Smudges get the leftovers. Sol Le Coeur is a Smudge, and her only goal is to make sure her dying grandfather has the chance to see Sol’s niece (whose father is a Ray) before he dies. Her plan leads to havoc, though, and lands her the care of D’Arcy Benoit, a handsome Ray medic. 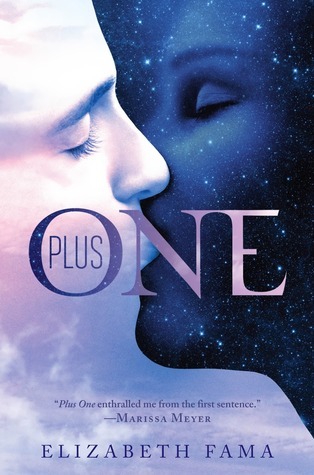 Together, they find out secrets about the government’s plan for the Smudges and try to stop it. 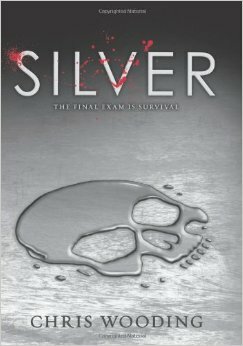 As a fan of Stephen King and other creepy books, Silver by Chris Wooding was the perfect book for me. It is one of the best science fiction horror stories I’ve read in a long time. 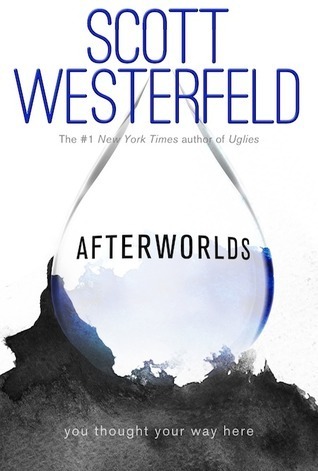 In addition to the horror, this book also gives me the dose of apocalyptic drama that I love. So, if you are prepared to be freaked out, by all means, keep reading. The story takes place at Mortingham Boarding academy – a prison-like school in the remote English countryside. The students are controlled in every aspect of their day and severely punished if they fail to comply. When students start to see mice-size silver beetles scurrying around campus right before the weekend they get excited. Something unusual is happening for once. But, excitement quickly turns to terror when two students are attacked. Soon the two students become sick and are covered with a spreading rash of silver tendrils. Soon these tendrils spread even more and the students become more machine than man and begin attacking students and teachers. The virus starts to spread all across campus. Let me just start by saying that I listened to the majority of this book on audio and was in tears for most of that time. 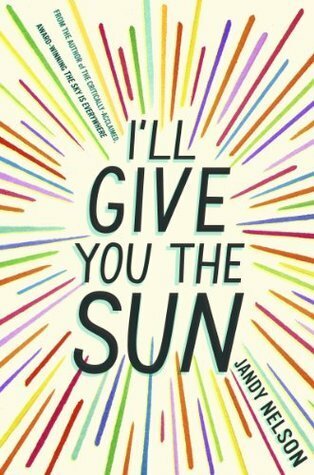 Be prepared with a box full of tissues when you start this book. It packs a punch right away. It grips you heart and doesn’t let go until you reach the final page. Jude and Noah are twins and as close as two people can be. They are each other’s support in all things – until they aren’t. Told in alternating voices, Jude telling narrating the present and Noah narrating the past, the reader gets to see all the working pieces of the tragic events that tear the brother and sister apart. Jandy Nelson is a master of language. I’m not the only one who things that either. On Goodreads, there are 129 quotes listed that people have pulled from the book. Here is the link to go read some for yourself, but I’m going to pull a few of my favorites for you anyway. Most everyone knows that I’m a fan of Science Fiction. I love post-apocalyptic stories. There is just something about reading about people struggling for survival that I love. So, it’s no surprise that I love Rick Yancey’s The 5th Wave series. The Infinite Sea is the second book in the series and I dove right in not really knowing what to expect. 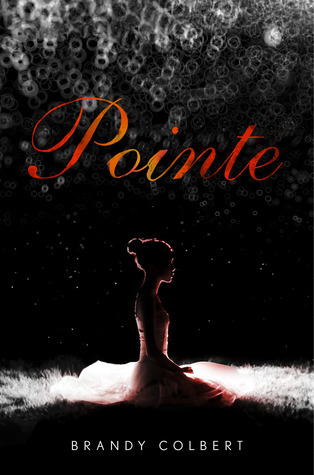 The synopsis basically gives you a little recap of book one and only mentions Cassie by name so I was a little surprised when she wasn’t the only point of view in the sequel. The book starts out with Cassie and her small band of survivors hiding out in the hotel she and Evan agreed on at the end of The 5th Wave. Things are rough. It’s winter and they are freezing and supplies are running low and very hard to come by. The plan is to get to some underground caves they know about, but are unsure if they are safe. Plus, Ben, A.K.A. Zombie, is badly injured. So, Ringer decides to go on a scouting mission to check things out and then come back for everyone else. Things really go downhill from here. Without giving too much away let me say, O.M.G. There were several times during the book that I felt like Rick Yancey was ripping out my heart. Poor, poor Ringer. Much of the story is from her point of view – including the introduction of a new character that really adds some tension and drama. The Infinite Sea gives the reader some major insight into the aliens’ plans for human destruction and let me tell you, I don’t see how this is going to end well for the humans. I love anything Donnalynn touches! This is an awesome book list that strays from the “go-to” books, but still has some great “go-to” authors! Potential reviews on their way? 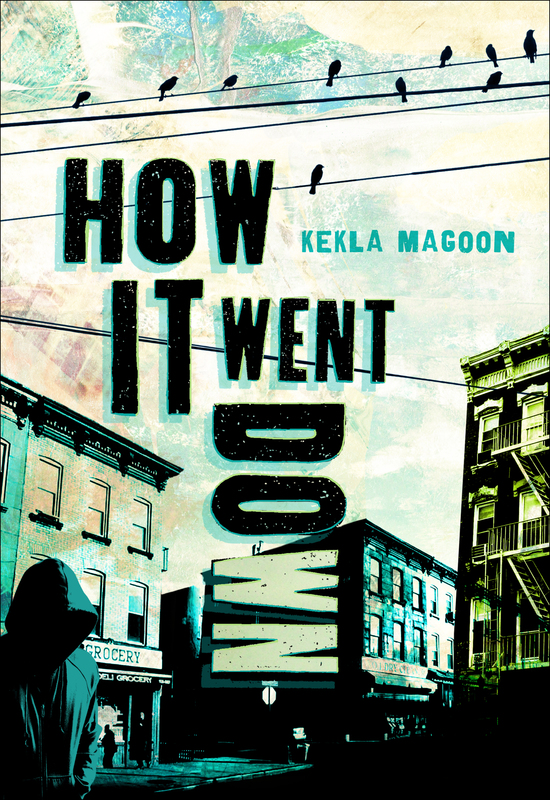 especially happy to see “how it went down” here! wonderful list. Thank you for sharing this list of recommended titles. I plan on reading Rick Yancey’s follow-up to The Fifth Wave, a book I really enjoyed. 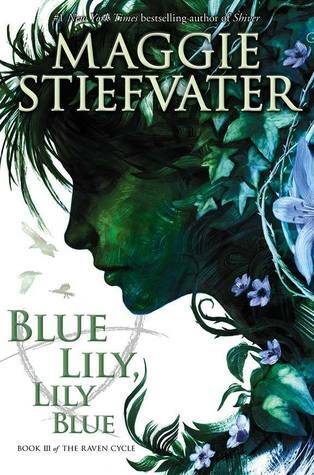 Thank you for recommending Maggie Stiefvater. 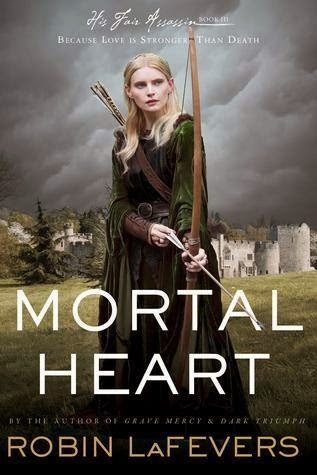 Based on the above recommendation I just finished Raven Cycle Book book 1 (The Raven Boys) and immediately purchased the next book in the series. Can’t wait to try out some other authors on this list that are new to me. 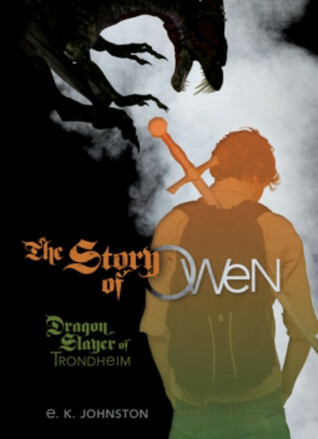 The Story of Owen sounds like an absolutely phenomenal read. I personally love books that deal with dragons and swords and such.